> What Is an ERISA Lawyer? What Is an ERISA Lawyer? 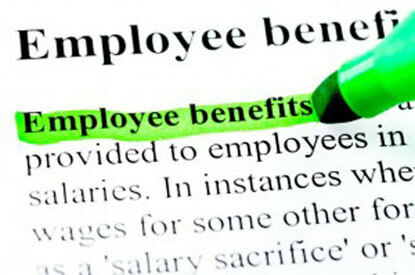 Summary: Learn what an ERISA/Employee Benefits lawyer is and what they do in this article. ERISA laws require a lawyer with prowess to handle. ERISA (the Employee Retirement Income Security Act) represents a set of laws meant to protect employees with their benefits. Naturally enough, every institution that must abide by these rules is keen on conversing with lawyers who can tell them which way the wind is blowing. All sorts of issues plague the path to ERISA compliance. Companies with a third-party insurance agent or administrators is one issue, as are issues with COBRA, fiduciary insurance and bond reviews. As an ERISA lawyer, you would work with companies to facilitate the protection of employees, and help devise labor relation strategies. Everything regarding unemployment compensation, worker’s compensation, wage and hour law, and discrimination are part of this. If you are intrigued by how employers and employees develop mutual respect, and specifically through this complicated set of laws, this is the job for you. If so, let us help you find your niche in the world of ERISA laws. We can help you find the firms that specialize in this, and can offer you a new home to build your practice and develop the skills you need to really sell yourself as a niche lawyer. Find ERISA jobs on LawCrossing today! I've told other people about the site already. I enjoyed it very much and I know my friends will too. LawCrossing Fact #107: Our site is cool. Its design is sleek and sophisticated.